Aparna also shared the dais with estranged Smajawadi Aprty leader and SSM Shivpal at a function of Rashtriya Krantikari Samajwadi Party where both were invited as chief guests. LUCKNOW: The feud in the first family of Samajwadi Party seems to have intensified further as just a day after SP patriarch Mulayam Singh Yadav shared the stage with his rebellious younger brother Shivpal Yadav, his younger daughter-in-law Aparna Yadav also came out ian n endorsement of uncle's Samajwadi Secular Morcha (SSM) here on Saturday. While speaking from the podium, Aparna, wife of Mulayam's younger son Prateek, openly announced her support for Shivpal and his Morcha claiming that after her 'Netaji', it was Shivpal Chachaji whom she had respected the most. Taking the vow to strengthen Secular Morcha, Aprna said: "I have always respected Netaji and Chachaji and we will work together to make SSM stronger. "Ready to part ways with Samajwadi Party, Aparna expressed her desire to join Shivpal's Morcha and said that she would take the next step and join SSM at a suitable time suggested by chachaji. She also expressed her willingness to contest 2019 Lok Sabha elections as SSM candidate. Notably, Aparna had contested 2017 UP Assembly polls as Samajwadi Party candidate from Cant segment in Lucknow but she lost it to Congress turncoat and BJP candidate Reeta Bahuguna Joshi. However, while reacting to her defeat Aparna had attributed her defeat to internal forces working at cross purpose inside the party and the family. However, the political observers are attaching Mulayam's presence in Shivpal's event on Friday as a bid to make ground for paving Aparna's entry into SSM. 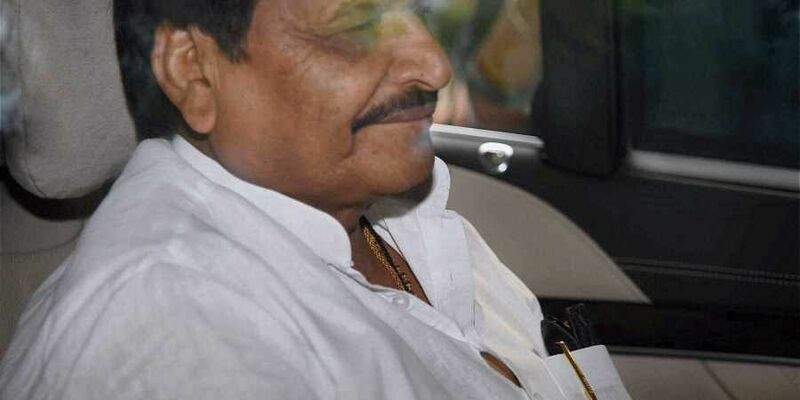 Speaking on the occasion, the Jaswantnagar MLA and Samajwadi Secular Morcha founder Shivpal Yadav claimed that it was high time to take some big decisions and that his Morcha was ready to take on the BJP government head on. "We want to bring the change in the society. Over two dozen parties are in our touch and we will be taking BJP head on in the upcoming elections," he asserted. In August, Shivpal Yadav had launched 'Samajwadi Secular Morcha' after expressing his disappointment with the Samajwadi Party leadership.